Cinepolis Junior theaters will be featured in Pico Rivera and Vista. 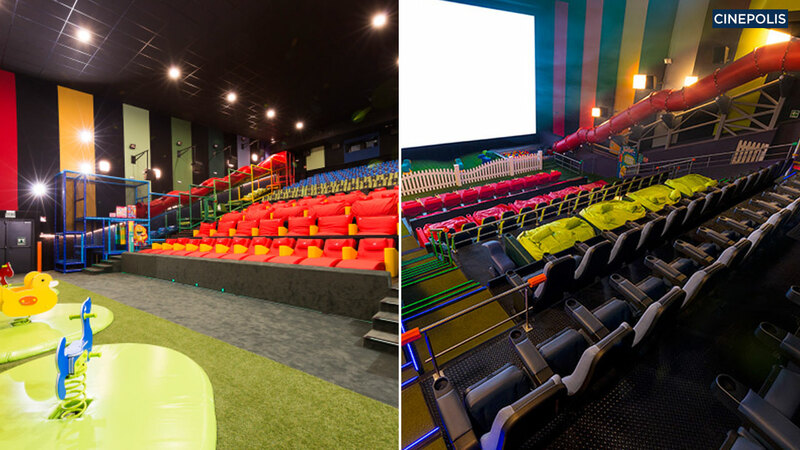 The cinemas will offer children the opportunity to play on jungle gyms and bean bags. PICO RIVERA, Calif. -- A movie theater chain will debut a new playground feature in Southern California which will allow children to play near their parents' seats. Cinepolis, a Mexico-based theater chain, will feature the Cinepolis Junior cinemas in Pico Rivera and Vista. The theaters allow children to play on a jungle gym and bean bag chairs while seeing a movie. The option will cost $3 more per ticket. The theaters are designed for ages 3 to 12, and hope to compete with Netflix and other at-home options. The option is being offered just in time for Disney's live-action remake of "Beauty and the Beast." The Walt Disney Company is the parent company of ABC7.